What is a basal cell cancer? Basal cell carcinoma (BCC) is the most common form of cancer, with about a million new cases estimated in the U.S. each year. Basal cells line the deepest layer of the epidermis (top layer of the skin). Basal cell carcinomas are malignant growths–tumors–that arise in this layer. What causes a basal cell cancer? The sun is responsible for over 90 percent of all skin cancers, including BCCs, which occur most frequently on the sun-exposed areas of the body: face, ears, neck, scalp, shoulders and back. Risk factors include light complexion, age greater than 60 years of age, male gender, blistering sunburns and indoor tanning exposure. Is a basal cell cancer fatal? Basal cell cancer can usually be diagnosed with a simple biopsy and is fairly easy to treat when detected early. However, 5 to 10 percent of BCCs can be resistant to treatment or locally aggressive, damaging the skin around them, and sometimes invading bone and cartilage. When not treated quickly, they can be difficult to eliminate. Fortunately, however, this is a cancer that has an extremely low rate of metastasis, and although it can result in scars and disfigurement, it is not usually life threatening. How do you treat a basal cell cancer? There are many ways to treat a basal cell cancer. Most commonly, the lesion is excised and sent for histopathologic analysis. If the cancer is in a high risk location, like the face, hands, feet, genitalia, or you are at increased risk for metastasis because you are immunocompromised, then your tumor should be treated by the Mohs surgery. 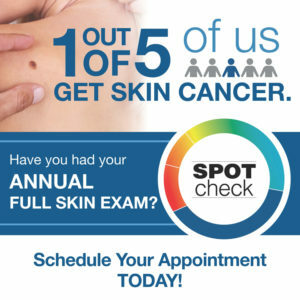 An actinic keratosis (AK) is a precancerous skin growth, also known as a sun spot, that may progress to a skin cancer. The growths which start as small, scaly, rough plaques on the skin’s surface are often described to flake-off and return. Actinic keratoses are most commonly found on areas of sun exposure, such as the face, ears, lips, neck, bald scalp, hands, shoulders, arms and upper back. Actinic keratoses are directly related to cumulative sun exposure. Those with pale complexions, especially blonde or red hair, and blue, green, or gray eyes, because they have the least amount of protective pigment, are at the greatest risk. However, those with more pigment, including individuals of color, can develop actinic keratoses if they expose themselves to the sun without protection. When left untreated, an AK may increase in size and develop into a form of skin cancer. There are a number of effective therapies for treating actinic keratoses. Dr. Garcia-Zuazaga and his team will determine the best therapy for you based on the nature of the lesion and your overall health. Treatments include topical creams, liquid nitrogen, a variety of surgical options and photodynamic therapy (PDT). Squamous cell carcinoma (SCC) is the second most common form of skin cancer, with over 300,000 new cases per year estimated in the United States. What causes a squamous cell cancer? Most cases of squamous cell cancer are caused by chronic overexposure to the sun. Tumors appear most frequently on the sun-exposed face, neck, bald scalp, hands, shoulders, arms and back. The rim of the ear and the lower lip are especially vulnerable to these cancers. Is a squamous cell carcinoma fatal? Most SCCs are not serious. When identified early, and treated promptly, they are easily treated. However, if overlooked, they are harder to treat and can cause disfigurement. While 95 percent of SCCs are localized, the small percentage of remaining cases can spread to distant organs and become life-threatening. This is especially true among immunocompromised and transplant patients. There are many ways to treat SCCs. Most commonly, the lesion is excised and sent for histopathologic analysis. If the cancer is in a high risk location, like the face, or you are at increased risk for metastasis because you are immunocompromised, then your tumor should be treated by Mohs surgery. Melanoma is a malignant tumor that originates in melanocytes, the cells that produce the pigment melanin that colors our skin, hair, and eyes. The majority of melanomas are black or brown. However, some melanomas are skin-colored, pink, red, purple, blue or white. Malignant Melanoma is the most serious form of skin cancer. However, if it is recognized and treated early, it has a high cure rate. If not treated early, or if it is a high risk melanoma, the cancer can advance and spread to other parts of the body. Malignant Melanoma is very hard to treat and often fatal. The American Cancer Society estimates that in 2011, there will be approximately 9000 fatalities in the US, with 70% of these occurring in men. The number of new cases of melanoma is estimated at 59,940; of these, 33,910 will be in men and 26,030 in women. How do you treat melanoma? The first step in treatment is the removal of the melanoma, usually by surgical excision done in the office as an outpatient procedure with local anesthesia. Scars are usually small and improve over time. Surgery is less extensive than in the past, so scars are smaller. If the melanoma is large and requires more extensive surgery, the repair can involve a flap or graft of normal skin. For deeper melanomas (greater than 1mm Breslow depth), there is a trend toward performing a sentinel lymph node biopsy at the same time. In this instance, the entire procedure will be done in the hospital by a surgical oncologist. What margin of normal skin is excised? When there is an in situ melanoma (one with no involvement of the dermis), 5 millimeters of the normal skin surrounding the tumor is excised. In melanomas that are 1 mm or less in thickness, the margins of surrounding skin excised are extended to 1 cm. If the melanoma is equal to or greater than 2 mm in depth, a margin of 2–3 cm is taken.